Our pups are raised in our Climate controlled indoor and outdoor facility. 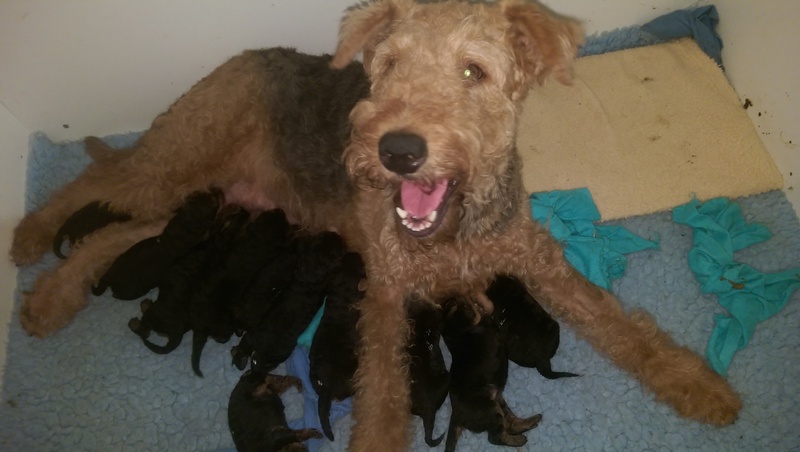 Breeders and owners of Airedales for over 25 years we offer quality puppies from proven breeding lines. 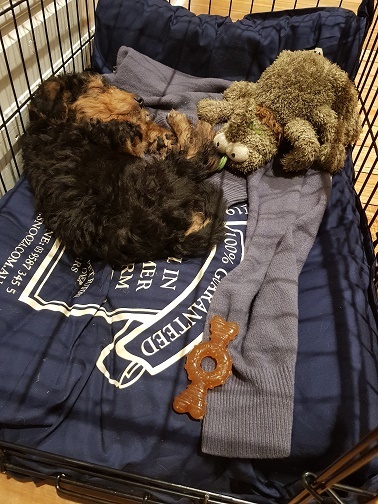 We have available testimonials from previous York Park puppy owners. 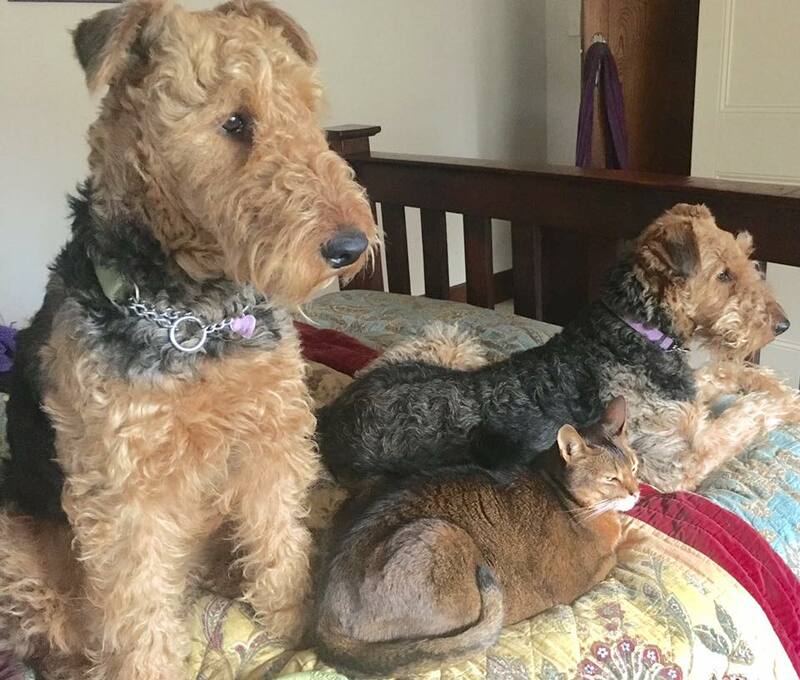 Proud long standing members of Dogs Victoria, Airedale Terrier Club of USA, Airedale Terrier Club of UK and Airedale Terrier Club of Victoria. Please contact Dogs Victoria office@dogsvictoria.org.au to verify registration. We offer Pups Pedigree Registered, Vet checked, Vaccinated & Micro chipped. ALL our breeding stock are Hip X-rayed and regularly vet checked. All our pups are VET CHECKED prior to going to their new homes. A Puppy Information Pack is supplied prior to the arrival of your new family companion. We feed Royal Canin Quality Dog Food and offer a Free Dog Food Voucher for new puppy owners. Puppies available to go home in early AUGUST 2019. 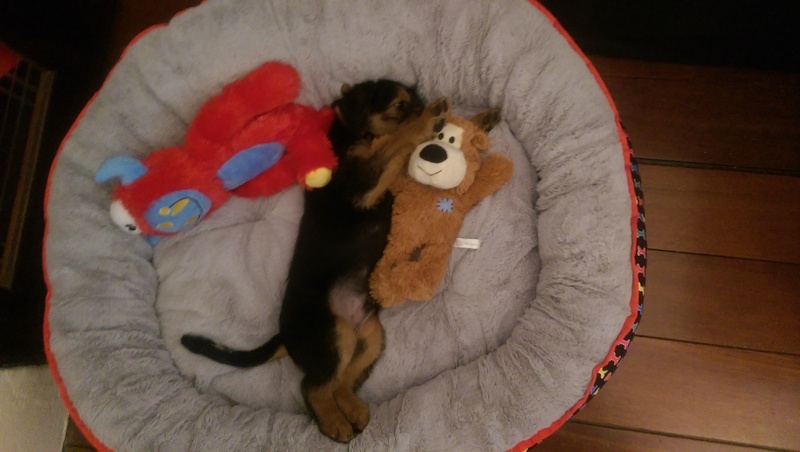 A Deposit is requested to secure a Yorkpark Airedale puppy once we can confirm availability of a pup. We consign by air freight interstate & overseas with experience and confidence. York Park is ideally located just 40 km east from the City of Melbourne at the entrance to the famous Yarra Valley Vineyards and tourist region. We welcome visitors and inquiries for this litter. This listing viewed: 2744 times.